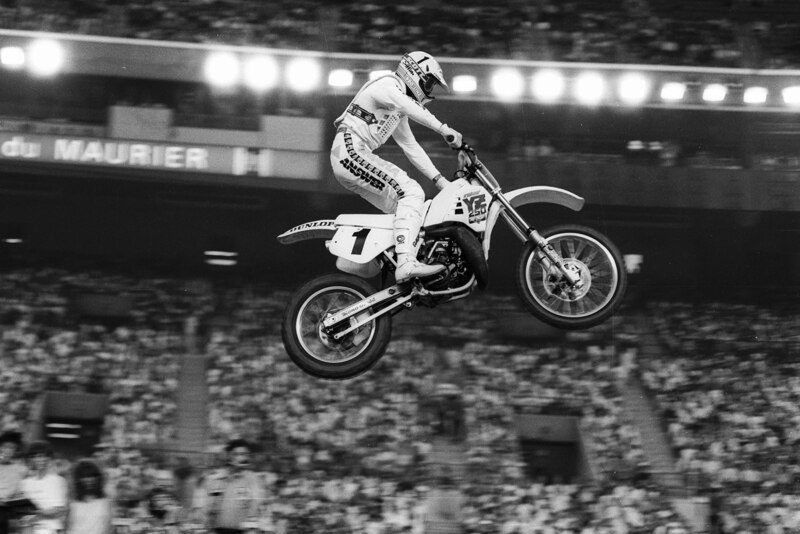 The record says simply that Ross Pederson was the best Canadian motocross racer of all time. The numbers are astounding: 38 CMA national championships, 13 No. 1 plates and three times winner of the CMA’s prestigious White Memorial Trophy. For 13 years the Alberta ace was the dominant figure in Canada. Without the benefit of a factory-prepared motorcycle Ross still consistently placed in the top 10 in U.S. national championship motocross, supercross and arenacross events any time he chose to enter. 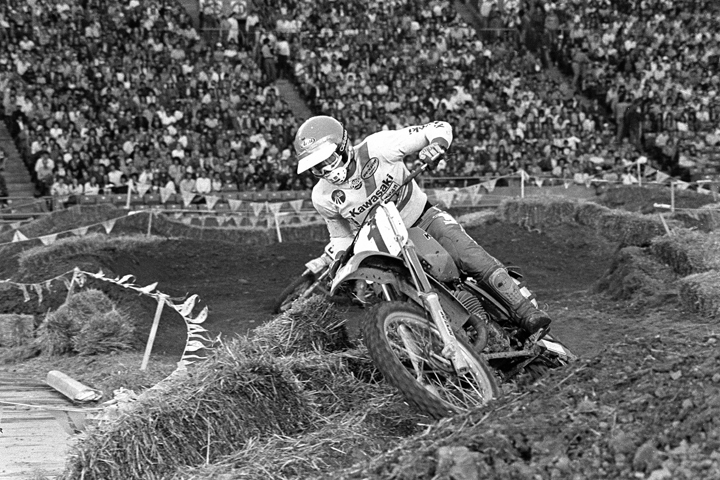 American teams rarely selected foreign-born riders at that time, but without such a policy Ross would have been a natural choice. In an interview in 1983 the newly crowned world champion Georges Jobe rated Ross among the top five in the world scene. Growing up in his home town of Medicine Hat, Ross started riding at age 15 after watching a group of riders roaring around a field. 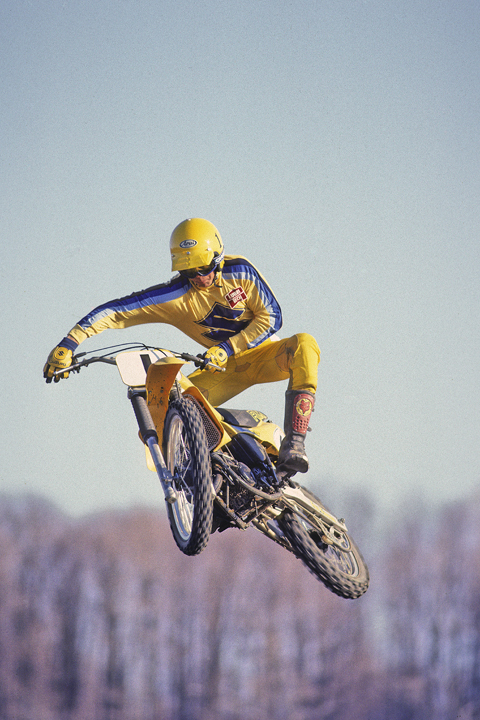 “I can do that,” Ross told himself, and he soon changed the nature of Canadian motocross forever. In the mid-1970s the sport was dominated by foreign expert riders imported by Canadian motorcycle distributors in hopes of establishing immediate superiority for their brand. Kawasaki hired the Swede Jan-Eric Sallqvist, CZ had former world champion Vlastimil Valek, Yamaha had Nicky Kinoshita from Japan and Suzuki had Japanese pro Masaru Ikeda and later Californian Jim Turner to win the laurels they wanted. The example of their speed and style was not lost on the Canadians and the situation soon changed as the local talent were forced to upgrade their skills. Home-grown young riders rose from the junior ranks to take over the senior and expert classes as the stars of factory-sponsored teams. 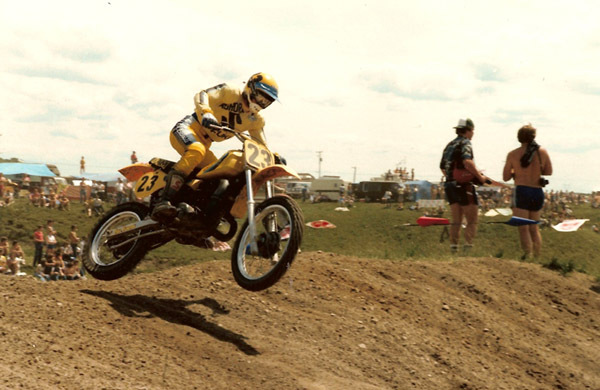 Within two years of his 1975 debut, Ross won the Alberta junior title and in 1978 was the CMA champion in the 250 cc and open senior classes. He caught the eye of Can-Am’s western race team manager Ed MacDonald who provided Ross with his first professional support. 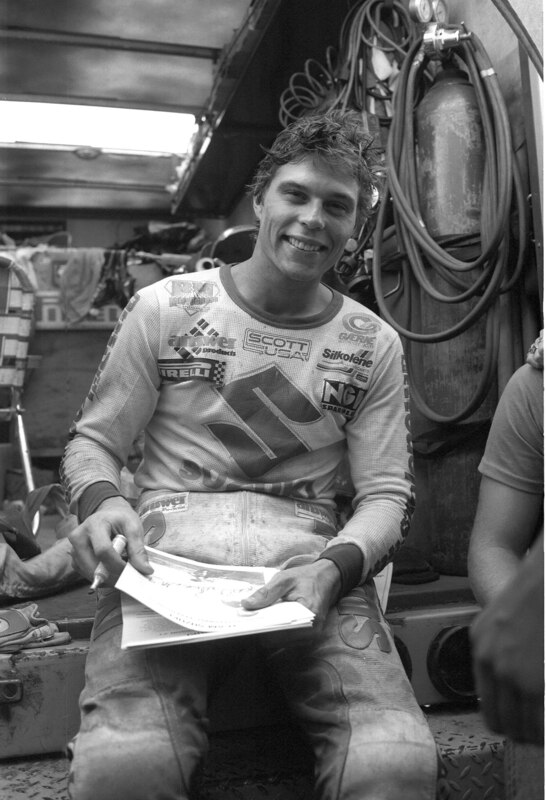 Strength and stamina were hallmarks of his performance, whether it meant forcing his bike through the gluey mud of a rain-swept Toronto outdoor supercross or coping with the superhuman demands of endless knee-deep sand on a sweltering day in Austin, Manitoba. Ross generally rode all three classes of the period, so it meant giving his best for six motos of 35 or 40 minutes each. He could ride his opposition into the ground through sheer endurance or match any aggressive move from others, leading to the early application of his lasting nickname, Rollerball. 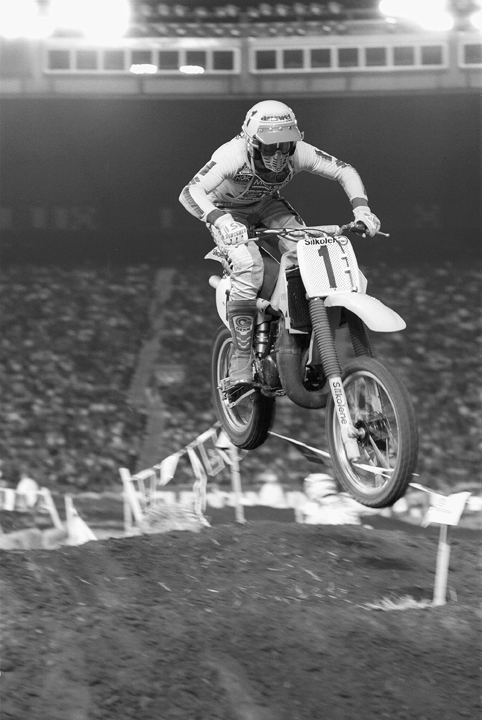 Rollerball thrived in the rough and tumble of indoor races and in his time was the only Canadian to win both the Toronto and Montreal supercross events. 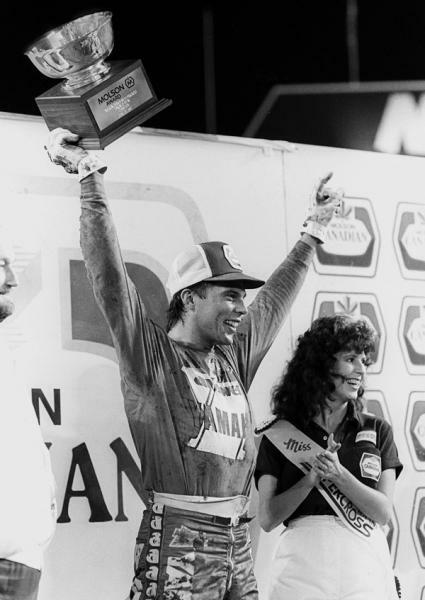 From 1982 through ’88 he won every Canadian national supercross title. He eventually won five triple crowns, with national titles in 125, 250 and 500 cc classes in one year, and narrowly missed a sixth through a mechanical failure in one moto of the 500 cc class. His best year was 1987, during which he racked up an astounding record. In the first half of the year alone he raced in 46 different Canadian and international events, finishing every one with 21 first-place results. In a single week he raced in North Carolina, Quebec, Ontario and Manitoba. 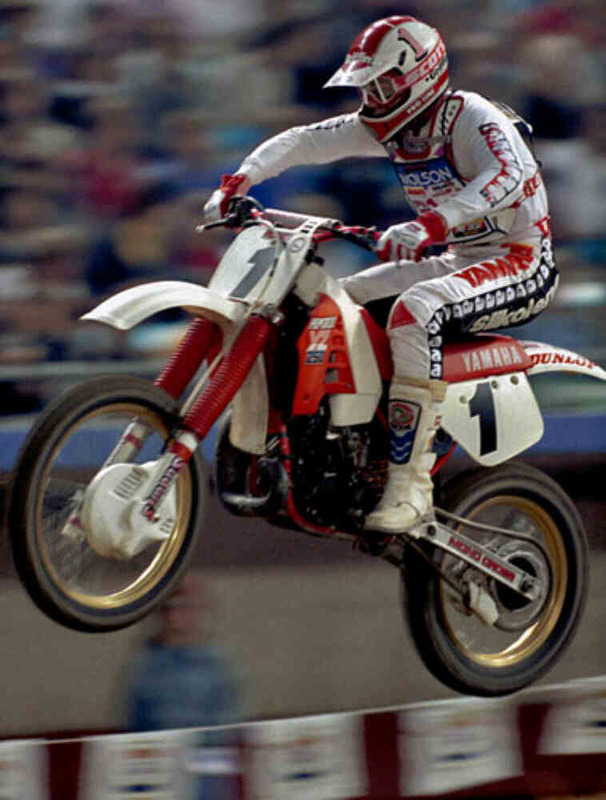 Halfway through the 1987 U.S. national motocross series he was in fifth overall, with his best results third placings at Binghamton, N.Y., and Hangtown, Calif. His performance amazed the Americans who considered him a privateer. As often happened, Ross had commitments to race in Canada that kept him from finishing the balance of the U.S. series. 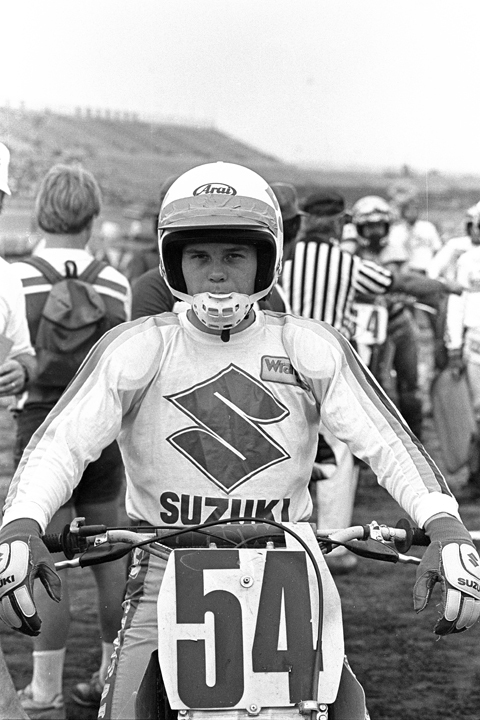 Ross Pederson’s final year of competition was 1993, when he still won the Canadian 125 and 250 cc expert classes. In retirement he’s still revered as the greatest of all time.